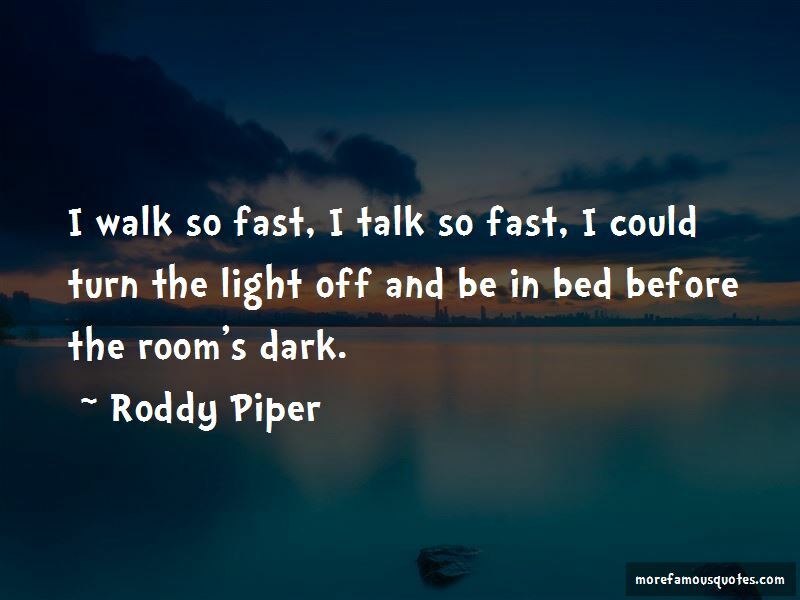 Enjoy the top 31 famous quotes, sayings and quotations by Roddy Piper. I'm the reason Hulk Hogan lost his hair. I was pissin' Vince McMahon off when the red on the back of your neck was diaper rash! Did your parents build knows you a swing facing a wall when you were a kid? Ever notice Hulk Hogan ain't got no hair on his chest? The only one who's got hair on their chest on their team is Cindy Lauper. Rowdy Roddy cut his locks; but don't worry woman, he's still a fox. Do you know you couldn't get a date with a $20 bill taped to your forehead? He's as strong as an ox ... and ALMOST as smart! 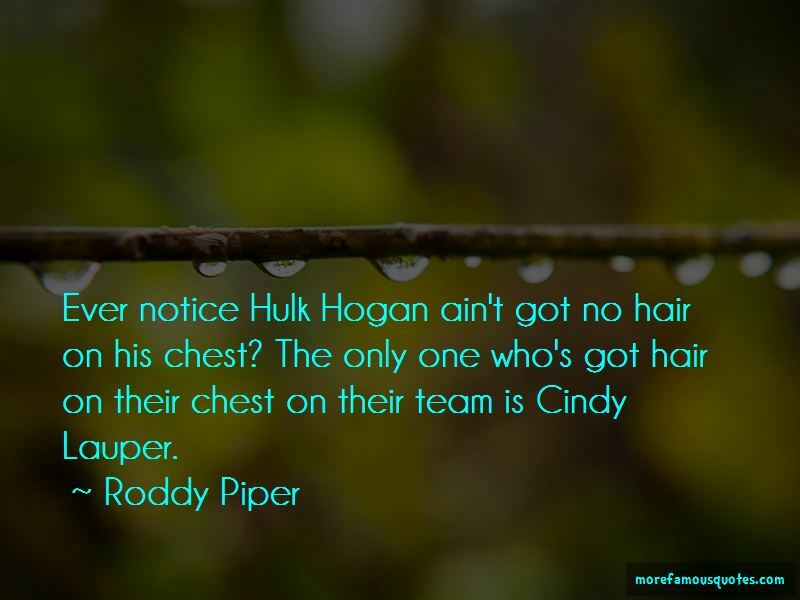 Want to see more pictures of Roddy Piper quotes? Click on image of Roddy Piper quotes to view full size.